When Obama won the Presidency in 2008 I was a graduate student living in Harlem. The streets erupted with joy. A new age had been ushered in. I wandered out of my shoebox of a studio and walked through the streets, reveling in our victory for America. Eventually, I ended up at the apartment of a younger guy friend who liked to have me help him with his term papers. We got high. In the morning, I woke up with a headache and the promise of the possible. When you work in an industry like “the arts,” you learn to navigate a complex funding system that includes everything from federal grants from the National Endowment for the Arts to county-supported grants to corporate grants. It’s a system of non-profits supporting non-profits where at the end of the day, government endorsement is key to keeping the support system in place. Big Bird and I were getting ready to find our street corners. 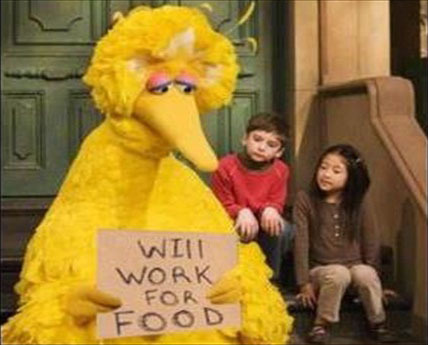 When Governor Romney said he wanted to cut the federal funding that would go to supporting things like PBS, the repercussions of that went well-beyond the assassination of Big Bird. I live in a region of New York state represented at the State and National levels by Democratic candidates. But, my county is run by a traditionally Republican Republican executor. A Republican executor who plans to eliminate a quarter-million in funding to the organization I work for. And so, every year between September and March, my organization has to go to war. State budget hearings in Albany. We call in the troops and head out, en mass to tell the local government that the arts matter. Our ability to stay open and in turn, support hundreds of cultural organizations in communities throughout the region depends on the benevolence and good-judgement of legislators who realize “place-making” is about more than building highrises. Blouin ARTINFO ran a summary of the Arts Action Fund’s analysis of how the 2 candidates fared when it came to the arts. The punchline — a Romney presidency could easily have undone what Presidents since JFK have maintained as a cornerstone of American cultural stewardship. The NEA, the IMLS, PBS, Title I… all of these faced uncertain futures. All of these provide my organization, and thousands of others with the funding support that allows them to keep arts professionals employed and the community engaged. To be very blunt, my job and my co-workers’ jobs depend on having Democrats in public office. So today, the day after election day, all I can say is: Thank you, America! 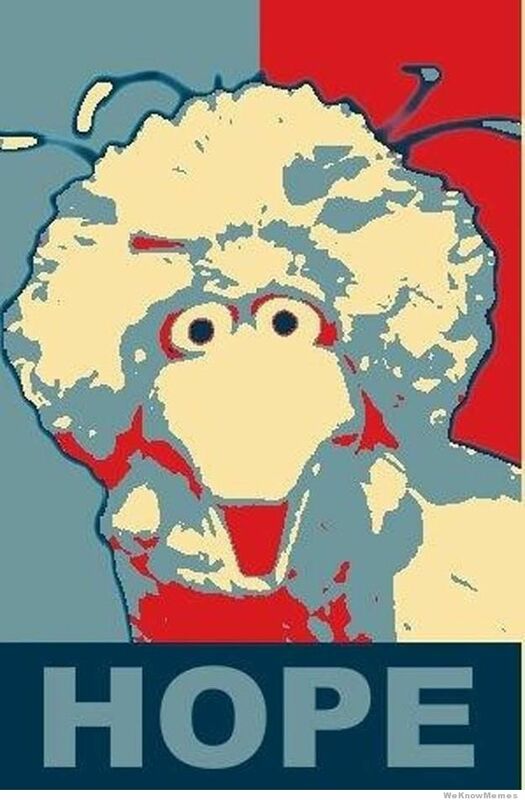 Big Bird and I get to keep our jobs, and you get to keep Downton Abbey.